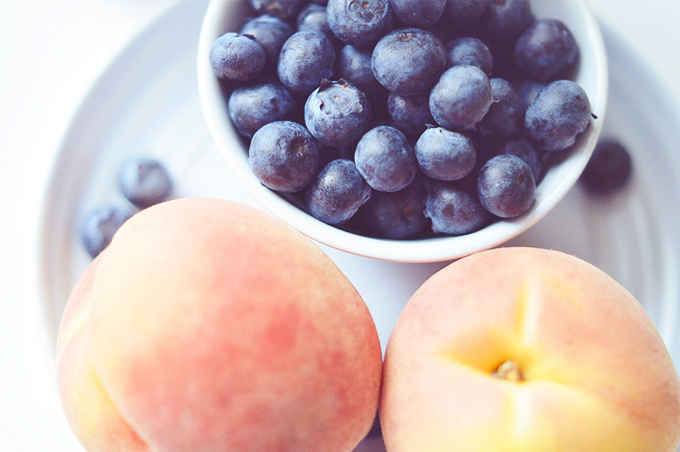 Recipe: Blueberry & Peach Iced Tea Smoothie. Lots of fresh fruit, ice, cooled tea and maybe some veggies thrown in too and you've got yourself a drinkable meal that cools you down and tastes delicious. 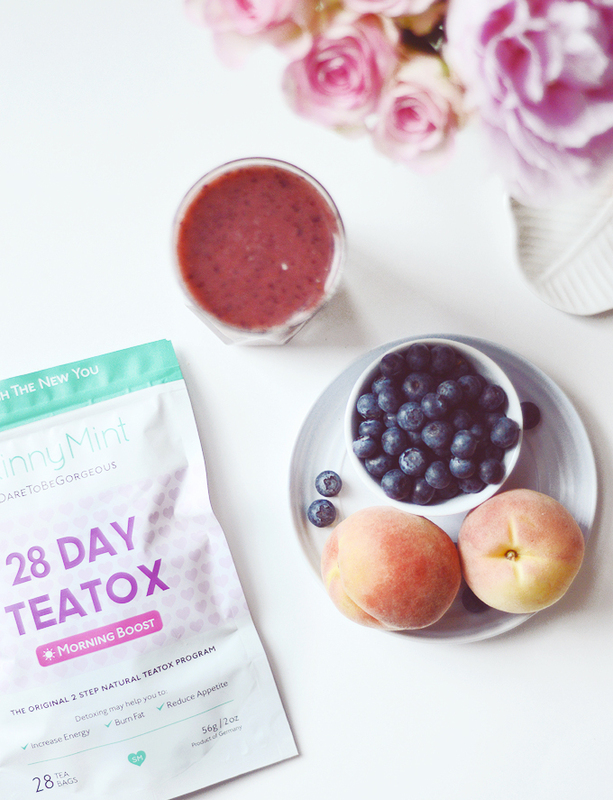 I've started a teatox - something I've been very wary about before as I wasn't sure exactly how tea is supposed to help detox, but of course I was thinking of the regular builders tea type of tea which I absolutely hate with a passion! milk and two sugars?? It takes like soil, I'm sorry. 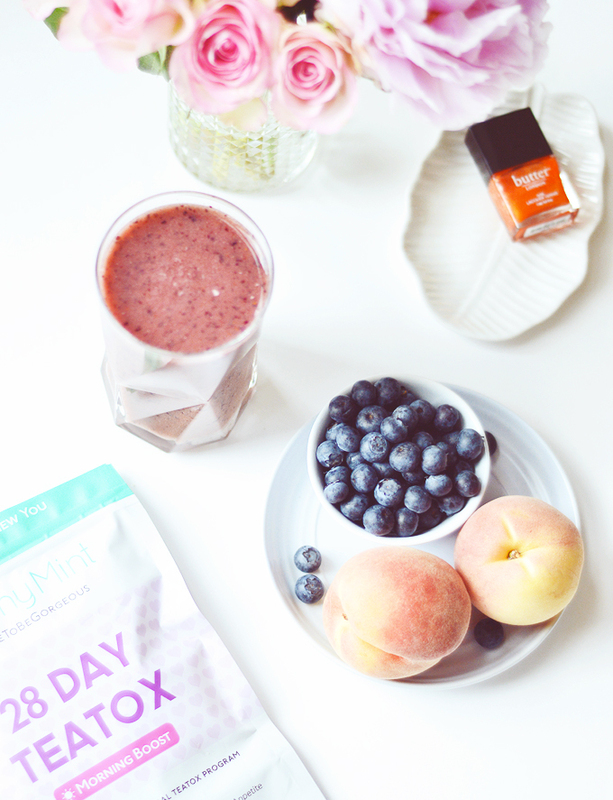 The SkinnyMint Morning Boost tea is a totally different game, its fruity and fresh and other than pure fruit tea is the only tea that I now like. It contains green tea, dandelion, nettle, pineapple, strawberry and guarana to boost digestion, make you feel good and reduce your appetite to stop you snacking as much. I haven't noticed that to be honest, I still eat perfectly normal and have a big lunch and a snack or two during the day to keep me going. What I have noticed is that I can get through the day without having an afternoon slump and craving a nap - it's a miracle! I'm a very sleepy person, perhaps I need to up my iron intake or something, so to not be yawning come 3pm is a big deal and has been so great for my productivity the past few days. I'm not sure why anyone needs instructions on how to make a smoothie... but just incase. Brew your tea and let it begin to cool. I usually chuck an ice cube or two in there once the tea bag has fully steeped to speed things up. Wash & prepare your fruit then add everything into the blender (I use a cup blender which is a miraculous invention) and blend away!! Easy as pie. You can blend your ice directly into the drink or pour the smoothie over the ice, whichever you prefer. You do you. 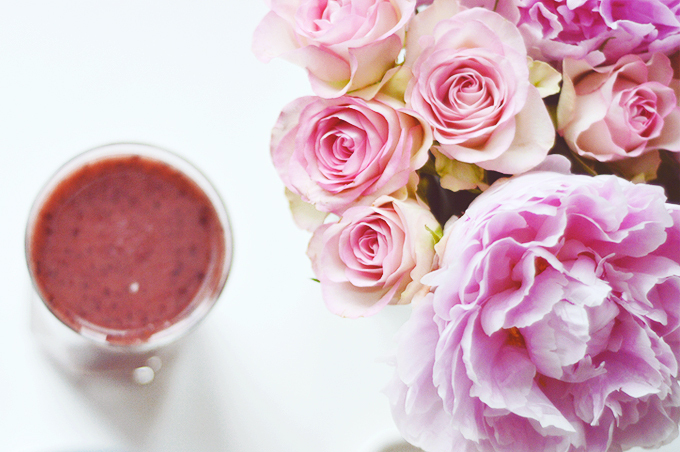 Are you a big smoothie drinker?